The White House Correspondents Dinner, the annual black-tie confab of journalists, politicos and celebrities where in 2011 then-President Obama hilariously lit into Donald Trump, has some competition this year. 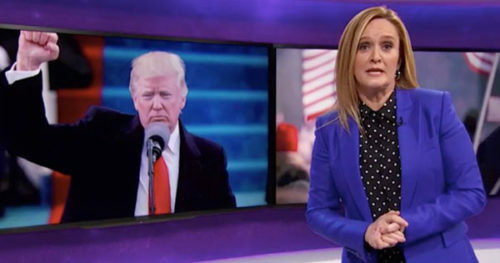 TBS announced Monday that the comic genius who hosts Full Frontal with Samantha Bee is hosting her own dinner on the same night as the scheduled event, April 29. The Willard Hotel in Washington, D.C. is the venue for the alternative roast, which Bee told The New York Times is meant to be a night to include jokes about President Trump, not necessarily a competing event.